Songs of Sea and Sky was inspired by a traditional dance song from Saibai, an island just south of Papua New Guinea, in Torres Strait. The song was collected on Saibai by Jeremy Beckett in May 1961. Although some traditional Torres Strait music still survives in its original form, most of that heard today is strongly influenced by the religious music introduced by missionaries in the nineteenth century. Nevertheless, its themes are still predominantly of sea voyages, flights of birds and changes in sea and sky. The work is in one continuous movement consisting of seven parts : Prelude, a somewhat dramatic saxophone solo; Saibai, a reworking of the traditional melody; Interlude, a second solo; Mission Hymn, a variation of Saibai; Dance Song, a rhythmic section based upon the material presented in the Prelude and Interlude; Lament, a second variation of Saibai; and Postlude, a brief coda. Following the climax, at the end of the Dance Song, the emotional content of the music culminates in the Lament. Here, the music yearns for the years before white settlement. Duration: 15 mins, 30 sec. Prelude -- Saibai -- Interude -- Mission hymn -- Dance song -- Lament -- Postlude. Commission info: Commissioned by the School of Music, Yale University, to mark the retirement of Keith Wilson. Includes programme note and performance note. 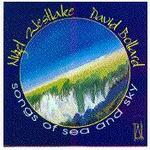 CD: Songs of sea & sky : Australian music for clarinet and piano / Nigel Westlake, David Bollard.